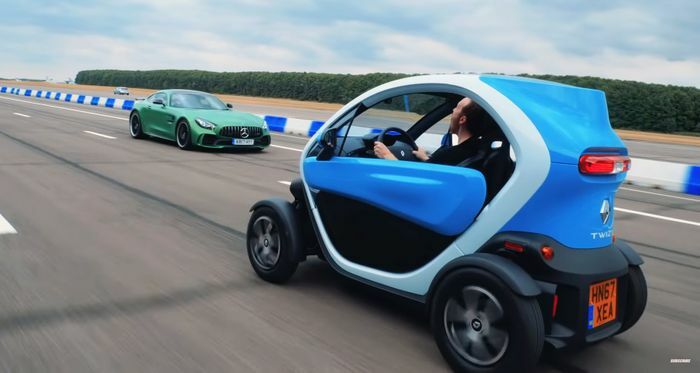 Can A Mercedes-AMG GT R Out-Drag A Renault Twizy… In Reverse? Picture the scene: you roll up to the traffic lights in your Renault Twizy and you’re feeling lucky. Sure enough, next to you is a Mercedes-AMG GT R. As you admire this slice of luck – you don’t see a GT R every day, after all – you notice that it’s facing the wrong way. And that the driver wants a race. Your breathing quickens: this could be your only chance to beat a genuine AMG machine over the quarter-mile. Your grip on the Twizy’s wheel tightens. A bead of sweat forms and trickles down your cheek. The tension is unbearable. And then… green lights – go, go, go! A less dramatic start to a Top Gear drag race is tough to imagine. Magazine editor Charlie Turner, in the Mercedes, takes it fairly easily away from the line to stop the car wheelspinning and/or losing stability and crashing out. The Twizy goes flat-out… and is way, way, way slower. But, as the Top Gear crew planned all along, that’s not the end of the story. 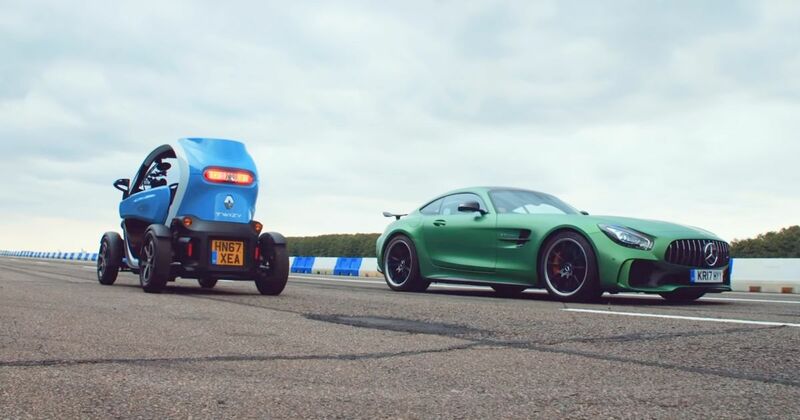 The Twizy can hit a dizzying 50mph while the GT R’s reverse gear is limited to 38mph. Soon the perky Renault starts to reel the big AMG in, but can it get there in time? Well, yes, actually. The slightly bizarre video is still worth a watch, though.